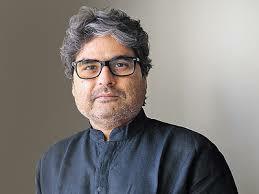 Jaipur – People had no right to violently protest against ‘Padmaavat’, as it was cleared by the censor board and given the go-ahead by the Supreme Court said Eminent filmmaker Vishal Bhardwaj. Addressing at Jaipur Literature Festival he also alleged that the government was hand in glove with protesters.Vishal said If the Supreme Court and the censor board have given clearance, what is the problem? If they are saying that there is nothing objectionable in the movie, then we should not pay heed to people who are protesting on the streets.